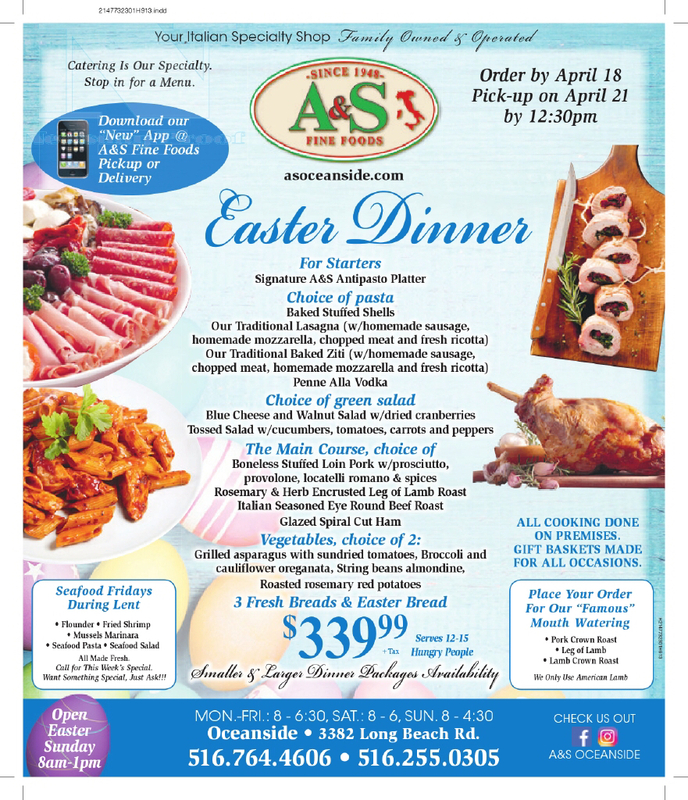 Founded in 1985, A&S Italian Market place has been serving the Oceanside community for over 30 years with the greatest customer service in the Gourmet Italian Marketplace Industry A&S Italian Marketplace is family owned and operated from generation to generation. Come into A&S Italian Marketplace for all your gourmet Italian food needs. A&S Fine Foods was Founded by Anthony Schicitlaro in 1948. Mr Scicchitano gave Gabriele Nicolo the opportunity to work under him where he gained knowledge and experience of the Gourmet Italian Marketplace Business. Gabriele Nicolo, being a hardworking man, instilled in him from his roots in Italy, took advantage of the opportunity and became successful in his own rite. Gabriele further opened up a several locations in the area in his 40 years in the business.Learning and watching his father, Anthony Nicolo followed his father’s foot steps and took over A&S Italian Marketplace in Oceanside. A&S Italian Marketplace has been a staple in the Oceanside Community since 1985 for all you Gourmet Italian Food needs.